Future Flynn Family-PHINABELLA!!<3. SO CUTE!! 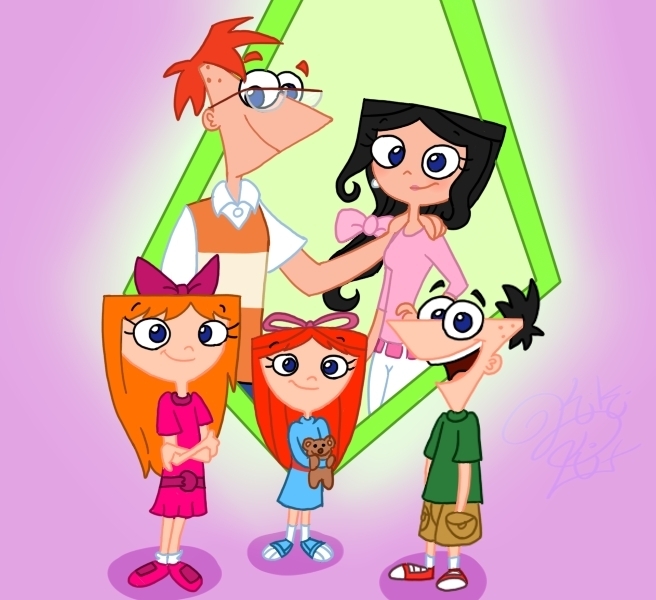 * .... Wallpaper and background images in the ফিনিয়াস ও ফের্ব club tagged: phineas isabella children. This ফিনিয়াস ও ফের্ব photo contains নকল মানুষের, কমিক বই, কমিকস, and কার্টুন. Hm, I always supported their only daughter Marie made by Angelus19 and Sam-Ely-Ember of dA. *shrug* This is cute, though. Marie should be there in the picture.